D.C.’s least known National Park was home to Washington’s least known environmental activist Helen Shaw Fowler. Helen fought the federal government for decades to save her water lily farm and in the process, preserved DC’s last remaining tidal wetlands. “Queen of the Water Lilies” tells the tale of Helen’s battle with the Army Corps of Engineers, but also the story of the Kenilworth neighborhood, one of the first to be integrated in Washington - until neighbors signed a racial covenant. 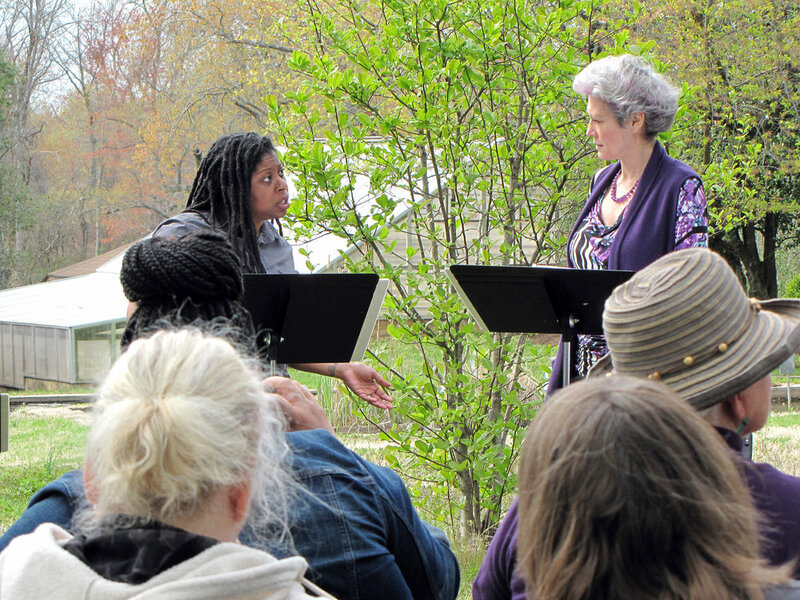 This play received development grants from the DC Commission on the Arts & Humanities, which receives support from the National Endowment for the Arts, and by Planet Earth Arts and the National Center for New Plays at Stanford University, with the generous support of the National Park Service, Theater Alliance and Friends of Kenilworth Aquatic Gardens.